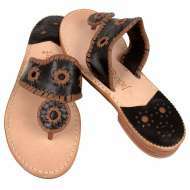 Women young and old have a love affair with the Navajo sandal. 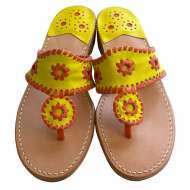 Like Jackie O, many boast a collection of 50 or more in a variety of color combinations. 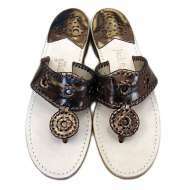 Initially, the sandal was distributed to the twelve Saks 5th Avenue stores and a few local Palm Beach Boutiques with great response. 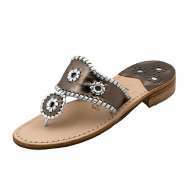 However, when the First Lady of Fashion was photographed in her Jack Rogers Navajos, the response was overwhelming. 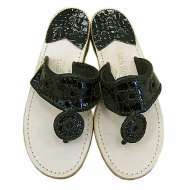 The sandal became an instant "Must Have" with that trend continuing even today. 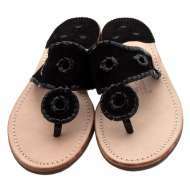 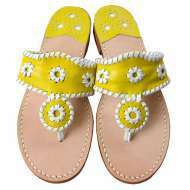 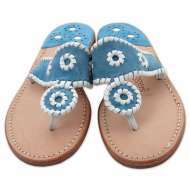 Sandal World is well known for offering the largest selection of colors and trims of Jack Rogers sandals.